Laura's life could have gone very differently. 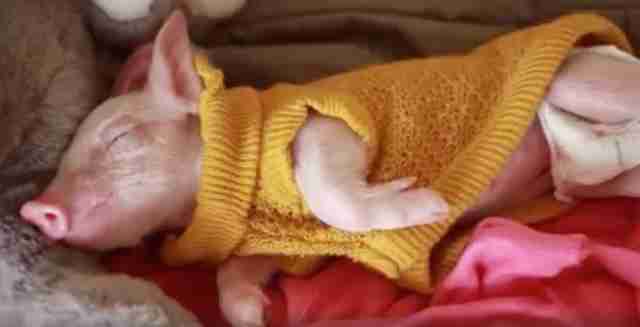 But as it is, she's safe and warm in caring hands - and soft sweaters. 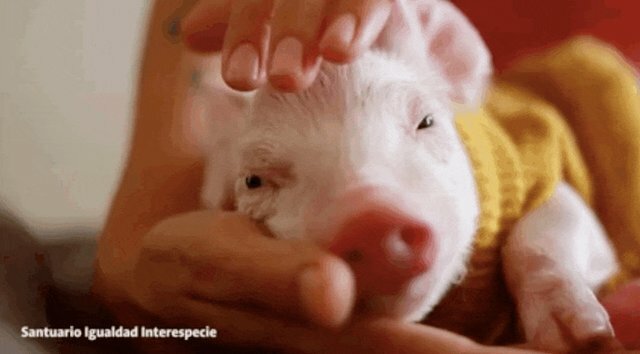 After being plucked from an industrial meat farm in South America, she was lucky enough to find herself at Santuario Ingualdad Interespecie, an animal sanctuary in Chile. 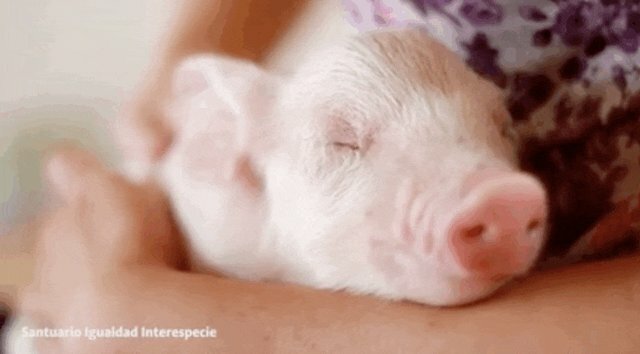 Even though pigs are believed to be even smarter than dogs, and certainly as emotional, they are often treated like objects on meat farms, where they are are routinely separated from their mothers at a young age. 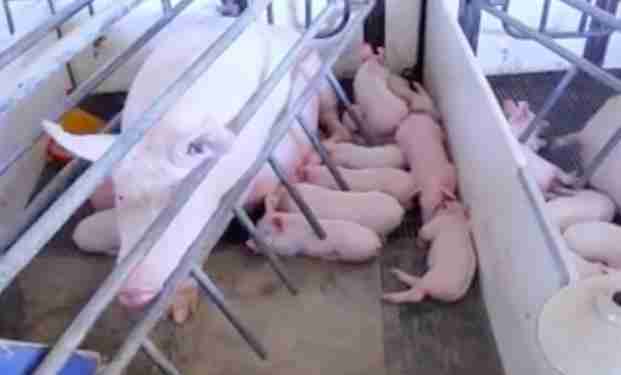 And even during pregnancy and nursing, mother pigs are restrained in small crates, where they can hardly move. Laura may be the only member of her family to have survived. We're so glad she has a chance at living a full life now. Learn more about the plight of pigs in industrial farms here. Click here to learn more about Santuario Igualdad Interespecie.